The California Health Care Foundation (CHCF) today announced the election of David Carlisle, MD, PhD, and Lynne Chou O’Keefe to its board of directors. Carlisle is president and chief executive officer of Charles R. Drew University of Medicine and Science. O’Keefe is a partner at the venture capital firm Kleiner Perkins Caufield & Byers. 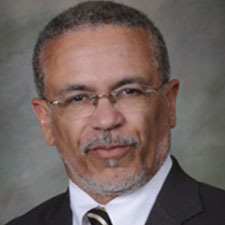 Carlisle has spent his professional life caring for the underserved, promoting diversity in the health professions, and improving health care systems to address racial and ethnic disparities. In 2011, he joined Charles Drew University, a private nonprofit medical school in Los Angeles dedicated to increasing the diversity of health professionals to better address the health of an underserved population. He previously served for 11 years under three governors as director of California’s Office of Statewide Health Planning and Development. Carlisle earned his MD from Brown University and his master’s degree and PhD from UCLA’s Fielding School of Public Health. He is a former Robert Wood Johnson Clinical Scholar. He continues to work as a volunteer doctor at the Venice Family Clinic. O’Keefe joined Kleiner Perkins Caufield & Byers in 2013. 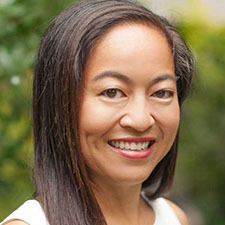 She has worked with entrepreneurs to develop digital health technologies and therapies and to improve patients’ lives. She also serves on the boards of several health technology companies. Since 2017, O’Keefe has been a member of the CHCF Innovation Fund Advisory Board, which invests in market-based solutions with the potential to improve access and health outcomes for low-income Californians. Earlier in her career, O’Keefe served in a variety of roles at two medical device companies, Abbott Vascular and Guidant. She also spent time in the mergers and acquisitions division at Goldman Sachs. She has an MBA from Harvard Business School. “I am honored to serve on the board of CHCF and join a team whose passion, dedication, and approach has driven impact in the way we deliver health care to the people of California, particularly those in need and without access,” said O’Keefe.